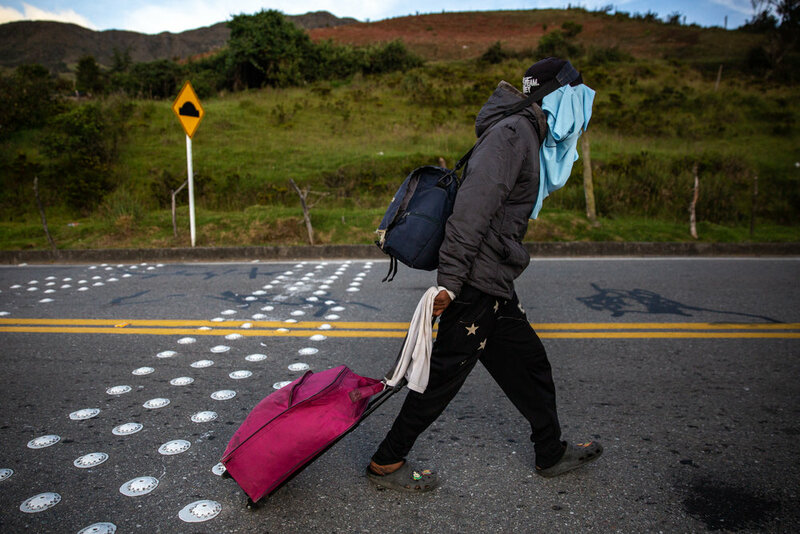 Venezuelan migrants travel on foot along a highway through the paramo de Berlin in the Andean highlands of Colombia. Venezuelan migrants rush to board a cargo truck that has offered them a ride farther down the highway to Bucaramanga, Colombia. After a two-day trek from the Venezuelan border, migrants prepare to sleep outside in the cold highlands. La Laguna, Colombia. 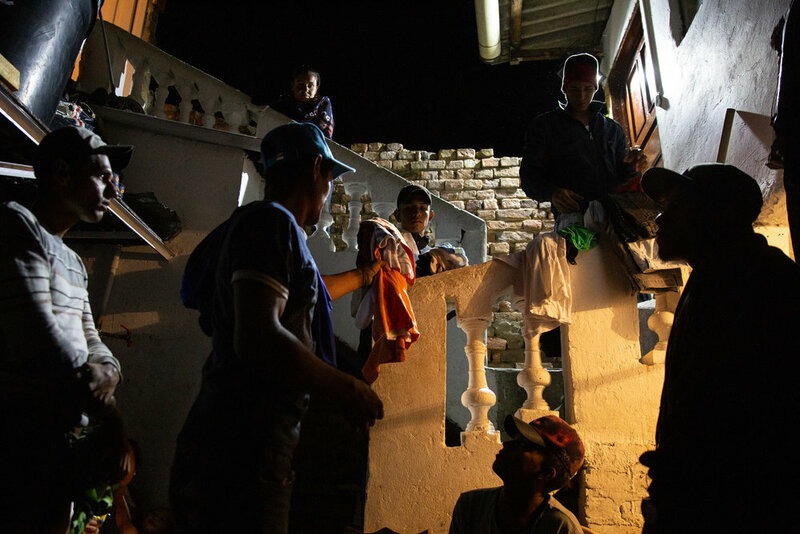 Donations are passed out to Venezuelan migrants taking refuge for the night at the Holy Spirit shelter in Tunja, Colombia. Luis Lugo, 19, wears what clothing he has to protect himself from the cold wind and unfiltered sun of the high mountains. Jill Terrell holds her daughter Lucy, 12, after being rescued by the Cajun Navy from their flooded neighborhood in Houston’s Energy Corridor on Aug. 29, 2017. George James Jr., 51, smokes a cigarette in his living room that also serves as his current bedroom at his home in Houston. James, who is legally blind and on disability, feels left behind waiting for assistance to help repair his storm-damaged home.